There are a whole lotta great comics in between Civil War and Secret Invasion, and I’ve highlighted them all for you below. The below timeline includes Tony Stark’s Initiative following Civil War, as well as some universe wide events like Silent War and World War Hulk. All before driving to Secret Invasion! I’d highlight a handful of comics that made my best 100 stories of the millennium as well. Check out Spider-Man: Back in Black, Thunderbolts, Immortal Iron Fist, Ghost Rider, Nextwave, and Silver Surfer: Requiem for some personal favorites that were published during this era. Note: Planet Hulk will take you up to World War Hulk, which is an event included below. Additionally, a number of the series below will hit World War Hulk tie-ins in the middle of the run (typically I will note which issues apply). My recommendation is to read until you approach a WWH tie-in, move on to the next series, rinse and repeat until you hit World War Hulk. You can then return and finish the series. Note that issues #19 and #20 are World War Hulk tie-ins. WWH tie-ins in issue #4 and #5. Matt Fraction writes this Initiative tie-in! One More Day tie-in w/ final issue. Warren Ellis and Mike Deodato put together one of my favorite Marvel series, and one of the most influential bits of continuity for the next 3 years. Punisher #12 is WWH tie-in. Hey, what’s up with the X-Men? Rise and Fall of the Sh’iar Empire fits reasonably nicely in this time period, although note that you may have already covered those issues during Decimation! Brian K Vaughn and Adrian Alphona Runaways era ends! Joss Whedon Runaways era begins! Ghost Rider #12 and #13 are WWH tie-ins. I would say to just go ahead and read the full series once you start Jason Aaron’s run beginning with Ghost Rider #20. If memory serves there is no Secret Invasion crossover. Issues #25 to #27 are Messiah CompleX tie-ins. Issues #11 to #15 are WWH tie-ins. Mentioned in the Complete Marvel Reading Order main guide, but mentioning again here so it doesn’t get lost. Note that if you’re looking at the trades, these Hercules issues are packaged alongside the World War Hulk Incredible Hulk tie-ins. Minorly confusing, I know. Takes you right up to Messiah CompleX. Issues #205 to #207 are Messiah CompleX tie-ins. Note that the Messiah CompleX link above will provide the issue by issue event reading order. You could just as easily read this prior to Civil War, but it occurs to me I haven’t included in the guide yet and this is a top 100 best stories pick with no hesitation. Once you begin, if you enjoy (and this is top 100 best story pick), you can just carry on through to the end. Amazing Spider-Man started shipping, like, daily after “One More Day,” meaning there are a BOATLOAD of issues to read over a relatively shorter publication timeframe. Nova will inevitably fit better with the Marvel Cosmic reading order. Pretty quickly swallowed up by Secret Invasion, and definitely fits better with the Marvel Cosmic guide. Spider-Man mentions his wife in New Avengers. Is it possible some of these arcs aren’t in 616? Just in the last week or two I’ve read Captain America: The Chosen, Omega: The Unknown, and Marvel Zombies 2, and I’m fairly sure none of these square with 616 continuity. I wonder if there are others on the list that are slipping in. Is there any reason Thunderbolts 106-109 weren’t included in this guide? They take place after the Civil War tie-ins, but is there a better time to read them? Or is it just a mistake? Either way, keep up the good work! Love the list so far, but I’d just like to point out that Mighty Avengers #7 is a secret invasion tie-in, even though the list says to read 1-11. I’ll come back to rest of the series after SI, but you might want to edit the guide. It’s definitely MC2 instead of the main universe (982 as opposed to 616 continuity), so I think I’m just gonna skip it. If she shows up in a later event I can come back to it. I think Dave probably just really likes the run or something similar. Hi, it looks like X-Men #188-199 aren’t in any of these reading lists (Comics getting you from House of M to Civil War has up to #187, and this list starts at #200 in Messiah CompleX). Was that intentional? Looks like Bachalo art, which I love. And it would have been good background for the Cable & Deadpool where Cable shows back up with a team of X-Men, seemingly in the middle of an adventure (which the issue concludes by stating will finish in X-Men #199). I would consider moving Thor up the list to be in front of the Hulk Run post WWH. Since this will explain how Thor is back before he shows up in Hulk. Also, Dave. Man, I love your posts, keep up the good work! Your best options are to start at the first reading list for marvel he has which starts just before the Marvel Knights era (1998-2000). I think this section is a great place to start as well if you are familiar with the major events that occurred during civil war. I’m pretty sure Old Man Logan doesn’t conclude in the pages of Wolverine, but instead in the “Wolverine: Old Man Logan” or “Wolverine: Old Man Logan Giant-size”. IIRC they kept slipping the release of Old Man Logan’s conclusion so Marvel continued with Wolverine #73. A few months later (or what felt like an eternity to my buddy and I back then) The special finally concluded the story. I just wanted to start off by saying that i LOVE this reading order you’ve put together. I’ve been going through it for at least 6 months now. I don’t read everything. I pick and choose based on what characters i enjoy. So take this as a very small criticism. This section of the list is the first time i’ve had a problem figuring out what to read next. It’s hard to figure out when to read some of the side stories. Like War of Kings. I only see that referenced in the Cosmic Reading order. Should that be read before Secret Invasion? And with the Hulk series after WWH, In the world war hulk listing you have AfterSmash but you don’t see it anywhere else. On the After Smash list you have Hulk 1-6 but you don’t show issues 7-9 that are referenced on the Main list. I’m not sure if any of this needs to be fixed. I just found it really confusing. Thank you for taking the time to put a list like this together! I don’t really trust Marvel Unlimited. They’ve had a lot of problems putting issues in the correct reading order. Quick note – She-Hulk #10-18 should come before Avengers: The Initiative #3 (probably just before 1-3). 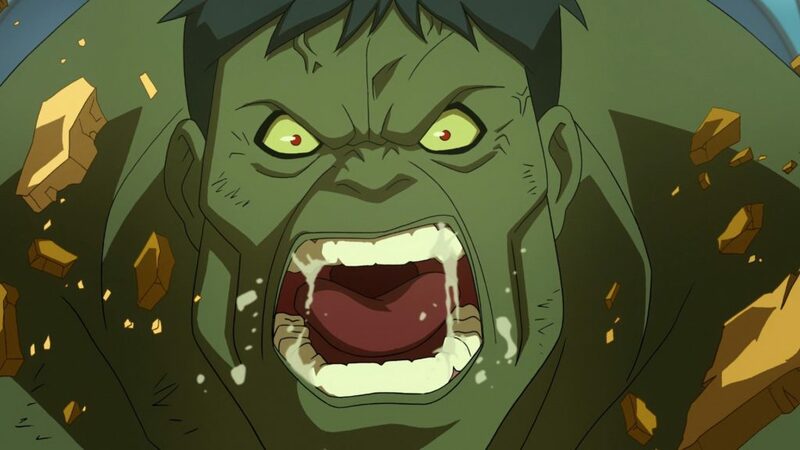 Events in She-Hulk #18 are referenced in Avengers: The Initiative #3. Forgive me if I’m being stupid but in xmen #200-207 description you state that the messiah complex link above leads to the complete reading order however when I follow it links to the trade paperback on Amazon. Is the reading order just the description on that or is this a mistake? Hi, awesome guide as per usual. But I have a small correction, a couple of the very last Wolverine: Origins issues that are listed fairly high on the list cross over with some other X-titles that are posted after Messiah CompleX. It’s the “Original Sin”-story (not the later event). Just to clarify further, Wolverine Origins 29 is actually part 3 of a 2008 mini-event called Original Sin. 28 is the proglogue, X-Men: Origin is the first part. X-Men Legacy #217 is part 2, abovementioned Origins 29 is 3, Legacy 228 is 4, and Origins 30 is the conclusion. Just curious as to what’s happening with the Spider-Man titles here. They are out of order concerning the One More Day storyline. Isn’t it The Amazing Spider-Man #544, Friendly Neighborhood Spider-Man #24, The Sensational Spider-Man (vol. 2) #41, and then Amazing Spider-Man #545? Here you have ASM #545 be read before any of the Friendly Neighborhood Spider-Man issues. Just curious. Yeah most of these arcs stand-alone, but Mighty Avengers / New Avengers cross over a bit. New Avengers also happens before One More Day in the Spider-man continuity. I found going NA 26-32, MA 1-11, NA 33-37 + Annual works fairly well, where MA is in the current list. Been following your guides religiously for a year now, and have thoroughly enjoyed them! I just finished NewUniversal, and was disappointed that it appears to end after issue 6. Am i missing something, or did the series get cancelled and not attempt to close out the arc? Anyway, thanks a ton for these guides, takes some stress out of trying to figure out what to read! Yeah, unfortunately went on hiatus after issue #6. There was a “shockfront ‘continuation in 2008, but to my knowledge that’s uncollected. Good points! I’ve added Planet Hulk at the top of this list with a note. I thought I had included Planet Hulk earlier, but I guess I just mentioned it and said to wait until now.